"A STIRRING MUSICAL. Some of the most thrilling choral writing I’ve heard in a British musical"
"The impressive, surprisingly versatile shipyard set is transformed from moment to moment by the fabulous use of projected images (both still and moving)." 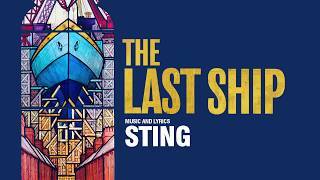 "poignant and powerful...stirring stuff from Sting"
"heart-breaking, uplifting, intimate and universal"
Powerful article from BBC reflecting on The Last Ship's resonance with three former Clyde (Scotland) shipyard workers.